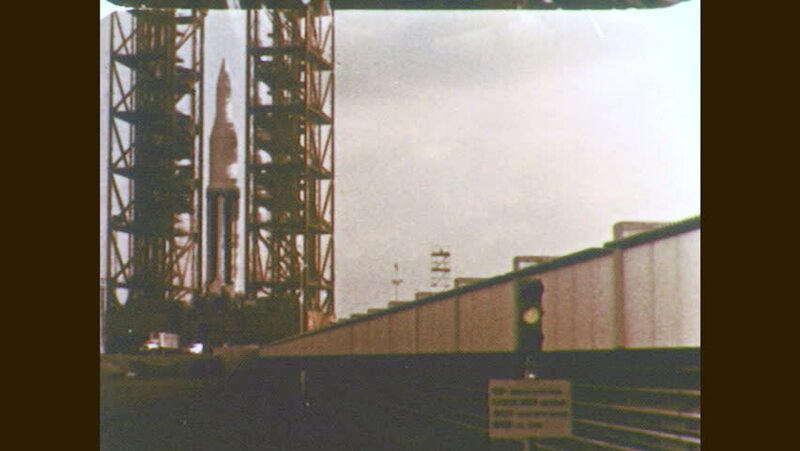 1960s: Rocket at launch site. Rocket in launch tower. Rocket booster tank in launch tower. Signal light flashes at launch site. Men work on rocket. hd00:59CIRCA 1930s - Jakarta Indonesia in the 1930s - .